Ayo: Jørn, those of us that have been reading your books for quite some time are aware of the fact that you spent nearly 20 years in the police force. How much of an impact has your work as a police office had on your writing? Jørn: I left the police in September 2013. In many ways it was a profession that shaped me as a person, and my books show signs of that too. My work as a chief investigator meant that I was able to slip in behind the crime scene tape, negotiating my way around the remnants and traces left behind in the wake of serious crimes, and witnessing what is left following a ruthless struggle. Stepping inside previously closed rooms that offer up unexplored secrets. That is where I like to take my readers. In working on these cases, of course, I also met people who had been victims of these crimes, and sometimes only the surviving friends and family left behind. At the same time it was also my job to talk to the people who had committed these crimes, and in fact interview the perpetrators. The experience of standing face to face with other people’s anger, frustration and regret has contributed to the creation of an authentic tone in my books that in general terms it is probably difficult to imitate. How do you write? Do you plot in advance or do you just write and see where the story takes you? I always have a plan before I begin. I know what the story is going to be about and produce an overview with keywords that covers what is going to happen all the way through to the denouement. It might sound strange, but I actually write my books first in Excel before I write them out in Word. I use the spreadsheet to plot things out and make an outline of my stories. Each column is a chapter, and I write down keywords for the action in the cells. That gives me some specific links that help me keep track of where I am in time and place. This analytical approach is probably a trait I have brought with me from my work as an investigator, in which so much depends on being purposeful and focused. However, this diagrammatic structure is a great help when all the tiny cogs in a crime novel need to fit together. Consequently, when I eventually start to write in Word, I believe I have the entire story ready, but then of course something happens during the writing process to make the narrative head off in different directions and other people crop up that I haven’t planned for. In that way the stories also come to life. What, in your opinion makes Norway so good as a setting for crime novels? If you didn’t set your books in Norway where else would you set them? The many small towns in Norway used as crime scenes for literary murders do not, perhaps, provide an obvious framework for crime novels. The beautiful Norwegian scenery with the long coastline, abundant skerries and snow-covered high mountain peaks provides the basis for attractive, picturesque landscape description. But maybe the fascination of the books lies in the very contrast between these peaceful small town communities with their beautiful vistas and the brutal, violent action that takes place there. We Norwegians live in one of the world’s wealthiest countries, but all the same there are so many dark facets. As a former policeman I know something of these contrasts. I have seen and experienced what a short distance there may be between happiness and unhappiness, joy and sorrow – as well as between life and death. I have not given much thought to where else I could set the action of my novels, but in some of them Wisting travels to Spain, a country I know well. Are there certain events that trigger your thought process when it comes to writing your books or thinking about plots? I have always been fascinated by what is inexplicable. Unsolved mysteries and unanswered questions that are just left hanging, have always appealed to me. There is something disquieting about the veil that time has drawn over such cases. The idea that someone out there knows something, but has not come forward, increases the sense of mystery – as something unexpressed lying just below the surface. It has been my experience that the answers in such cold cases are not to be found at a superficial level, but hidden beneath several layers of concealment, exactly as it should be in a good crime story. The contours of what has taken place gradually come to light and the truth emerges slowly, rather like a photograph immersed in a chemical bath in a darkroom. Your novel The Hunting Dogs won the Glass Key Award and the Martin Beck Award. Did winning the awards put any added pressure on you when it came to writing your novels? We are probably living in what must be regarded as the golden age of Scandinavian crime fiction. Never before have so many Scandinavian authors written so many good crime novels. The genre has acquired a vitality and quality that has attracted readers throughout the world. So, receiving such prizes brings welcome recognition, but I don’t think it has changed my approach to writing. 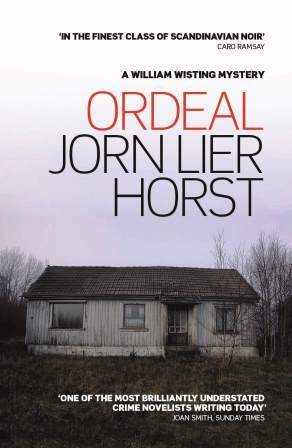 Tell us about Ordeal which is actually the tenth book in the series but only the fifth one to be translated into English. The story begins in a large old house in the centre of sunny Stavern on the south coast of Norway. The only remaining possession from the man who died there is a safe bolted to the concrete floor in the basement. It is locked, of course, but when it is finally opened, the actual mystery at the heart of the book also opens. An ordeal was the method of deciding criminal cases in medieval times. The person who was accused had to lick a red-hot spoon that had been taken straight from the fire, and the priest had to examine the person’s tongue to interpret the signs left there by God. Guilty or innocent? The wounds on the tongue were what decided this, and distinguished between life and death. You might believe that the judicial system has changed since that time, but it still depends on interpreting signs and assigning a meaning to what we see. And everything is not always as it seems. What challenges does Wisting face and what is it about Ordeal you think SHOTS’ readers will enjoy about the book and storyline? Those who have read some of the other books about William Wisting are used to him building a solid case, brick by brick. In Ordeal, everything is turned upside down. He has to use all his experience and knowledge to unpick a case that other police officers consider settled. So, in this book, I bring Wisting to a place where he has never been before. At least not in any of the previous novels, and that is into the courtroom. This also offers a taste of my favourite genre: courtroom drama. William Wisting is not your usual fictional police detective. He doesn’t suffer from any sort of angst and has an ‘ordinary’ life. Was this intentional and does this reflect your opinion of the true life of a police officer? 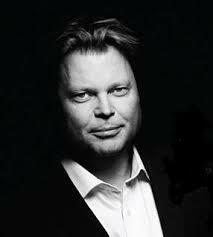 When, almost thirteen years ago, I was creating a new Norwegian crime fiction hero, I was extremely conscious of what he should be like. I was tired of reading about detectives who went around on their own solving crime cases while dead drunk or hungover, and who woke each morning with three days’ stubble and a whisky bottle on the bedside table. I wanted to have a protagonist who was more like the policemen I knew from my everyday work. That character became William Wisting. Surely no police officer has a perfect life? Wisting has changed in the course of the ten books written about him. I try not only to tell a story about how he solves his cases, but also what these cases do to him. He is an experienced police officer familiar with the dark side of human nature. He lives in a society undergoing change, providing challenging times for the Norwegian police, and does his best to fight the crime that is engulfing us. But his own life is not perfect either. One of his problems is finding someone to share his life with. You can read more about that in Ordeal. How, over the years, has William’s relationship changed with his daughter, Line? Line, the journalist daughter, plays an important role in several of the books, making them both a depiction of the father-daughter bond and a description of the relationship between the media and the police. There is a gripping dynamic involved in how the journalist’s confidentiality of sources and the policeman’s professional secrecy have to compete for priority with family trust. I believe that if you want a good grounding in social history then you should read crime novels especially contemporary ones. Do you believe this is the case especially since all your novels and that includes Ordeal have some element of social consciousness in them. Yes, crime fiction is often about the world we see around us. The stories dealing with crime and murder have their origin in social injustice and misery and it is easy for us to recognise this. I like to think of my books as something more than thrilling narratives to shorten your plane journey. I like the idea that a reader might be left reflecting on the conditions that exist in the world we live in. So how do you feel once you have finished writing your books? Do you breathe this massive sigh of relief or start worrying about how they are going to be received? A book is never finished when the last full stop has been set down. The process of finishing a book is almost as lengthy as that of writing it. The manuscript has to be edited, it has to be typeset and proofread. The cover has to be designed, the back cover text written, the book has to be launched and then you have to follow it out into the world. Placing the final full stop is just the start of a journey. But when I set out on that journey, I do so secure in the knowledge that I’ve done the best I possibly could for this particular story. Then it’s okay to breathe out. Is there any chance of the books being adapted for television? If readers were to look in William’s refrigerator what would they find? Not much. Butter, jam, cheese and a couple of bottles of beer – if you’re lucky. How would you like William to be remembered? Wisting is a considerate and concerned investigator, who doesn’t have a high opinion of himself, but who does have a sense of social involvement far beyond the personal and an inherent commitment to his fellow human beings. He is a man of conscience, integrity and humanity who believes he can contribute to the creation of a better world. I hope he is remembered as an upright and good policeman, but above all a good and sincere human being. The Hummel case has bothered William Wisting for more than six months. The investigation into what happened when taxi-driver Jens Hummel disappeared has been fruitless, and he has to endure criticism. A crucial discovery directs suspicion at Dan Roger 'Danny' Brodin. The problem is, however, that Danny is already in prison, convicted of another murder. Wisting is accustomed to building up a solid case for the prosecution, but this time things are different. Now he has to use all his expertise and experience to unpick a case that other people already believe to be over and done with. He follows his own convictions - all the way into the courtroom. The Shots review can be found here. More information about the author can be found on his website. You can also follow him on Twitter @LierHorst and on Facebook.